Our romantic adventure began as a long distance relationship. In September, 1998, Derrick and Sheila began sharing emails on a Christian dating website named Christian Matchmaker. Sheila had this great profile picture on the website. Derrick did not have a profile picture at the time. As they became more familiar with each other, Sheila requested that Derrick send her a recent picture. On September 28, Derrick sent the following picture. This is a picture that Derrick was photographed as a math teacher for the Arlington, VA Public Schools. This lead to their first bump in the road. Sheila did not like the picture and had reservations about their future. At that time, she did not feel physically attractive towards Derrick. Derrick was highly attracted to Sheila both physically and spiritually. They worked through that bump in the road and decided to talk on the phone for the first time on October 14. After sharing pleasantries, they decided to meet for our fist face-to face date on the weekend of November 13. It was love and they continued to get to know each other better. They became engaged on February 14, 1999. Five months later, on July 24, 1999, Derrick and Sheila became Mr. and Mrs. Campbell. They were married in Willingboro, NJ by Pastor James Woods of El Shaddai Christian Assembly. They spent a week in Cancun, Mexico and continue to enjoy going to the beach for relaxation as well as eating out. In 2005, Derrick and Sheila were met with another bump in the road. This time the bump in the road could have lead to divorce. Derrick was attending Rowan University as a candidate in the Educational Leadership Doctoral Program. Derrick used the leadership team building principles that he had learned at Rowan and Derrick and Sheila were able to rebuild their marriage. 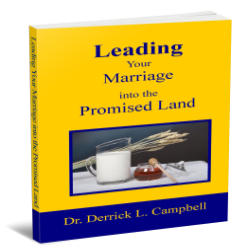 This bump in the road lead to Dr. Derrick Campbell to writing his first book – Leading Your Marriage into the Promised Land. For several years, The Lord continued to bless Derrick and Sheila to be able to facilitate marriage conferences for couples looking to enhance their marriage. As we continued, we became further concerned as to why there is such a high divorce rate. We reflected on all of the great tools and ministries around the world that improve peoples marriages. Then Derrick asked The Lord, “Why are marriages not working”. The Lord lead Derrick to Genesis 2:15-18. The Lord revealed to Derrick that the reason that marriages are not working is because they do not resemble His original design for marriage. According to Genesis 2:15-18, God designed marriage with a specific purpose, path, and position. Adam’s purpose was to be a servant and a steward over the resources that God provided (Genesis 2:15). Adam was provided a specific path that God gave in the form of commandments (Genesis 2:16-17). Adam was provided with a specific position in the marriage (Genesis 2:18). When any one of the three components of God’s original design for marriage are dysfunctional then the probability for separation and divorce increases tremendously. The Lord told Derrick that I want you to share this information with people who are single and married. For singles they will be better equipped for marriage by helping them to make selections based on the original design for marriage and not the other superficial characteristics and values that force people to eventually contemplate divorce. For couples, they will enhance their marriage by replicating the original design of marriage as ordained by God. 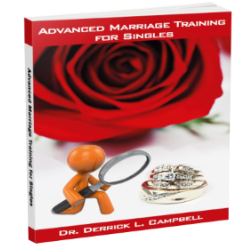 Therefore, Dr. Derrick Campbell wrote the book ‘Advanced Marriage Training for Singles’ and develop a workbook to accompany their new workshop titled ‘Advanced Marriage Training for Couples’. 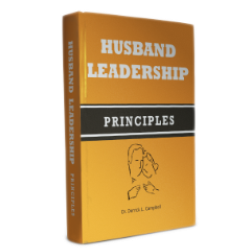 Dr. Campbell has a heart to help men and church leaders. Dr. Campbell has facilitated the ‘Leading Your Marriage into the Promised land Seminar’ at several Iron Sharpens Iron Men’s Conferences along with the help of his wife Sheila. Below is a short video from one of those conferences. Dr. Campbell has facilitated team building seminars for Living Faith Christian Center – Pennsauken, NJ and Ministry on the Mall – Burlington Center Mall. 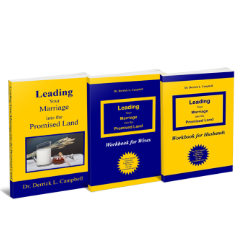 Dr. Campbell has also facelifted there Christian seminars Since then he has written two additional books. One for husbands and one for church leaders. The Lord continued to bless Derrick and Sheila. In January, 2016, God helped Derrick to develop the Luveuphoria Phenomenon. The Luveuphoria Phenomenon is consistent with Newton’s Law of Cooling. It states that the rate of affection in a marriage is proportional to the number of non-sexual intimacy encounters and the number of days that a person is in the presence of their spouse. This lead to the development of the Luveuphoria Formula App. 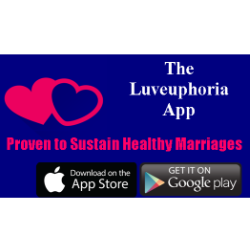 The Luveuphoria Formula App helps couples to monitor the frequency of non-sexual intimacy in your marriage. 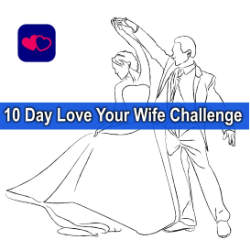 Adding non-sexual intimacy to your marriage is a low-pressure way of maintaining a healthy marriage. Regular non-sexual intimacy can make both the partners more receptive to sensual experiences. Dr. Campbell holds a Bachelor of Science degree in Electronics Engineering Technology from Capital Institute of Technology, a second Bachelor of Science degree in Math Education from the University of the District of Columbia, a Masters in Education Administration from Lincoln University, and a doctoral degree in Educational Leadership from Rowan University. He is also the founder and CEO of DLC Consultant Group. After authoring his first book, Promoting Positive Racial Teacher-Student Classroom Relationships, in January 2008, Dr. Campbell developed a Cultural Relationship Training Program that improves teacher-student classroom relationships. He has become know in schools as the Classroom Racism Exterminator. He has also developed a training program that improves the skills of supervisors. Dr. Campbell is founder and president of The Promised Land Ministry. The Promised Land Ministry provides training for churches and non-profit organizations. Churches and non-profit organizations receive training in the areas of strategic planning, team building, and leadership. Minister Sheila Campbell has been involved in Christian ministry over 20 years. Saved since a teenager, she started serving in her local church; Deliverance Evangelistic Church (Philadelphia, PA) which was one of the first mega churches of that time. She served in their Music Ministry, Hospital and Nursing Home Ministry as well as the Prayer Chain Ministry praying for the sick and despondent who called in to the prayer hotline. She took several courses at Deliverance Bible Institute, Jamison Bible College and later received her Certificate in Biblical Studies from Living Faith Bible Training Center in Pennsauken, NJ where she currently teaches the course Principles and Power of Prayer and also has taught the course Doctrines of the Bible. Sheila is also the Coordinator of Living Faith Christian Center’s Adult Education Ministry which orients New Members in God’s Word so that they are properly equipped to serve the vision of the house. God has gifted Sheila in many areas. She sang across the country with the Group, Tony Matthews and Rejoice and was also a worship leader for over 15 years. However, her passion for teaching and an accompanying anointing became so strong in her life that it has become her primary focus in ministry. Sheila has ministered to several women’s groups; Women With a Vision, Sword of the Spirit Christian Fellowship and First Baptist Church of Hockley Virginia to name a few. 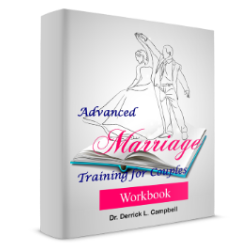 Although Sheila is excited about all of the doors God has opened thus far, she is especially thankful to be able to minister alongside her husband, Dr. Derrick L. Campbell in Advanced Marriage Training. The ministry’s assignment is to marriages and both Sheila and her husband Derrick realize that as the family goes, so does the church. She became a licensed minister in September, 2018.